Looking for a trusted and reliable red diesel supplier in Runcorn and across the UK? Crown Oil supply red diesel (gas oil) to businesses and domestic customers for use in heating domestic and municipal buildings, as well as a commercial fuel. Whether you require 205-litre barrels, or deliveries of between 500 litres or in excess of 36,500 litres (a full oil tanker capacity). Our barrel and bulk deliveries are perfect for any commercial, industrial and agricultural business. To learn more, why not give our friendly team a call today on 0845 313 0845 to buy red diesel in any quantity. Our deliveries cover the whole of the UK on a nationwide basis which means a delivery to Runcorn or one of it’s surrounding areas is not a problem for Crown Oil. 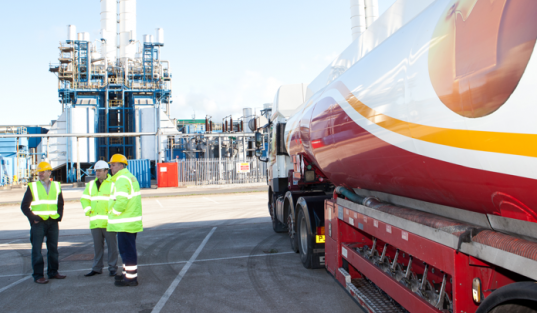 We have a range of oil tanker sizes to aid any type of delivery whether it is an easy access construction site or a hard-to-reach domestic property. Red diesel is cheaper than road diesel (white diesel) because it is a rebated fuel. It can only be used in certain applications, so if you’re unsure about whether you can use it then please ask one of staff members to be on the safe side or alternatively, contact HMRC for advice on usage. Using red diesel illegally can end costing you more in fines! Buyers in Runcorn will find Crown Oil’s red diesel prices very competitive, but here at Crown we also give you more! As well as deliveries and prices to suit, we also offer customer service like no other. With fuel management services and priority contracts, we can ensure that you never run out of gas oil again. When used as heating oil, red diesel can potentially work out even cheaper than gas and electricity. To speak to one of the team, call today and one of our red diesel experts on 0845 313 0845 will be able to answer any of your questions and provide you with a low cost quote. Runcorn is located in Cheshire but also forms part of the city of Liverpool. It’s mainly considered as an industrial town with quite a large population (approx 70,000), but as it is located on the south bank of the River Mersey it also benefits as a cargo port. With these two factors alone, the need for red diesel(which may be called marine diesel/gas oil) and commercial gas oil is heavy and regular. As you can see in the image, Runcorn is home to the Runcorn Silver Jubilee Bridge which was opened in 1961 (known as the Runcorn Bridge), but was later modified in line with the Queen’s Silver Jubilee in 1977, hence the name. This crosses over the River Mersey at the Runcorn Gap. Other notable transport features of this industrial town include the Runcorn train station which connects to all the major cities in England. Other areas where red diesel is necessary, are the woodlands, parks and forests. With quite a large population in Runcorn, heating oil deliveries to homes are common for heating, but gas oil is also required in the many churches, schools and hospitals for fuel to heat them. With areas of agriculture also sporadically placed, buying red diesel in Runcorn is common practice meaning that we visit this great town many times each year. Call us now on 0845 313 0845 to buy red diesel in Runcorn.